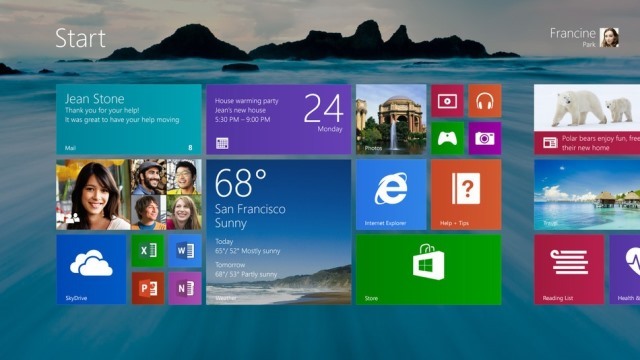 Windows 8.1 – Do we really need a 0.1 version upgrade? By now, the Windows 8 buzz would have subsided. Tech-savvy people around the world would have gotten used to the way Microsoft is trying to remain relevant in this highly-charged mobile industry. Windows 8 was a change for the better and one which was highly anticipated where Microsoft applies its latest Operating System to both desktop and mobile devices. And now, they have announced the Windows 8.1 which is an updated version of Windows 8. A lot of buzz has been circulating the release of this version as many users were requesting that they cannot find the widely popular ‘START’ button. Microsoft, in releasing 8.1 announced that there will be no ‘START’ button. However, they are providing alternatives like the ‘Start Tip’ where it is the Windows logo that will bring you back to the home screen. This is applicable for both tablet and desktop versions. The only difference is that clicking on the ‘tip’ won’t open up programs the way it did since Windows 95. One very cool feature about 8.1 however is that you can now boot directly to the desktop version. In Windows 8,booting up will bring you to the default page which is the tile-based interface. Now you can choose which interface would be the default. So that is one area where Microsoft is actually listening to the users and making necessary changes. If you are a fan of personalization and customization, then Windows 8.1 would be something very refreshing. You can now personalize how you Windows look like where there will be more colours, backgrounds and other elements to play with. Even the tile sizes can be changed. Searching in 8.1 now invoke results from Bing, in an attempt to create more awareness and user uptake of this engine. According to Microsoft, you cannot change the search engine to others but you can use Google through the browser. Sharing the screen between 2 apps and resizing the app to a size of your choice is now possible in 8.1. When you run 2 apps, they will be active with one app larger than the other which is one of the ‘specialties’ of this software giant as seen in their previous versions. It seems that Microsoft is going all out to recapitalize on the OS market and with 8.1, they might just succeed and perhaps capture more market share than its struggling Windows 8. The company said that the release version will be available later this year.